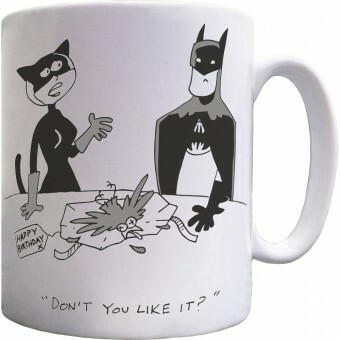 Batman and Catwoman haven't had the smoothest of relationships. Remember, for example, that time when she brought him a bird for his birthday? From the look on his face she could just tell that he didn't like it. Ungrateful sod. A mug featuring a cartoon by renowned cartoonist Kent Tayler.